Should you enable comments on your blog or not? Blog comments could play a very crucial part in a blog’s success. But it is not the case for all blogs. It highly depends on the niche. For certain niches blog comments could be a game changer. While for certain other niches, they may not contribute anything to the success of the blog. 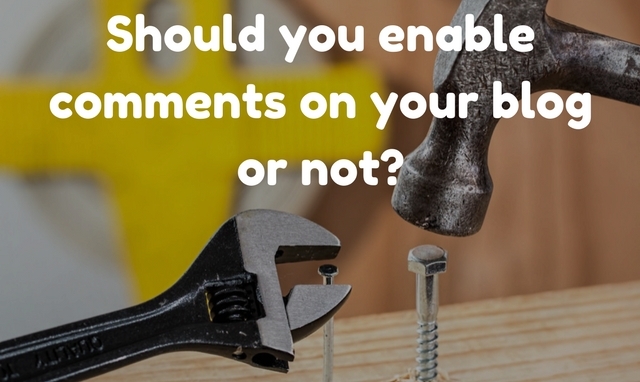 In such a case, how to decide whether you should have comments enabled on your blog or not? Let’s discuss! Why (and when) blog comments are important? Well, as I said it depends on the niche. If you are in an internet marketing niche, or a finance niche for instance, and if you are offering consultation service, your readers might discuss various aspects with you. They might share their opinions and they might ask you questions. Over the due course they can become your clients depending upon how you interact with them. When you have a decent count of blog comments for each of your blog post, this shows that people are interested in reading what you are writing. Personally, it boosts me to create more content and to provide more products/services! It also gives a social proof to any new visitors – rather than perceiving your blog as a ghost town, when people see comments and discussions going on, it makes them feel good. Comments encourage more comments and discussion. You get to build a community by maintaining an active comment section on your blog. Your readers can interact with you and with other readers. This leads to healthy discussions. And personally, I find that I can understand my readers’ problems and challenges when I read through the comments on my blog. When they ask me a question in the comment or share their situation, it gives me an idea about their challenges and helps me to help them. To be honest, I wouldn’t advice disabling comment section of your blog. What’s the problem with blog comments? But then, why some blogs turn off comments? Copyblogger did. And one of the main reasons is spam. When your site is new, you want people to leave a comment on your blog. You want to have at least a “great post” comment. But over the time, when your site’s readership grows, you might start receiving an alarming number of spam comments. And dealing with spam comments is no fun. I’m sure Copyblogger should have had enough before they decided to take comments down. But they have now turned it back on. They give 7 days to comment on a post and then they close comments on that post. My friend Fabrizio also turned off comments and turned them back on again. He explains his views in this post. Sonia Simone of Copyblogger too shared her views on various things related to turning off comments on Copyblogger. Fizzle has even published a debate (of popular bloggers) about whether you should allow blog comments or not. Is spam alone the problem? Certainly not! But it is a major issue for sure. Comment moderation can be a big chore for big blogs when they get hundreds of comments. It is not easy to sift through all the comments and identify the spam ones. Of course you do have plugins like Akismet that automatically filter spam, but still many spam comments escape and slip in for you to moderate. So can you turn off comments because there are issues? In my opinion everything has some challenges. Do you think blogging is easy? If so, you are wrong! Writing killer blog posts is not easy (which is why I have created a course for you to help you create killer blog content). Networking is not easy either. It is not easy to understand the technical aspects of running a blog post. And in a similar line, it is not easy to manage comments as well! So do you stop creating content just because it is not easy to create killer content consistently? No, right? When you compare the benefits of having comments ON, the disadvantages are not much. When you enable comments on your blog, you enable value. You enable discussion. You enable the opportunity to build a vibrant community. You get to discover new blogs (the blog of those who leave comments on your site). You get to discover new blog post ideas. Can social media conversations replace blog comments? No. Yes, that’s a big NO. Don’t get me wrong here. I am not saying that you shouldn’t jump into conversations with your readers on social media. I am not saying that social media conversations are waste. In fact, I strongly believe that every blogger should choose one or two social media platforms and be actively engaging with their target audience. Social media is something you should not ignore. But it cannot replace comments on your own blog. You build your own community in a place that you own. Not on a third party platform. Blog comments are integral part of your blog. They add to your content. In some cases, only comments make the content complete. Hence, I wouldn’t advise you to try to replace blog comments with discussion in social media. 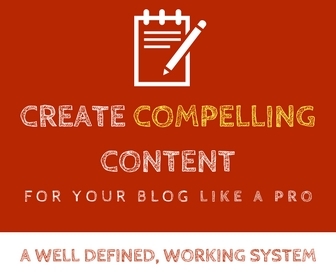 Your content (your blog) should be on your own self-hosted platform. So are your blog comments! What about using third party commenting systems? I cannot finish a post about blog comments without mentioning third party commenting systems. When I say third party commenting systems I mean commenting platforms like Disqus that incorporate additional cool features for commenters as well as provide a platform for bloggers so they can easily keep up and moderate. But this also includes plugins like Akismet that add intuitive features for commenters while making the job easier for bloggers. Some third party commenting platforms have the comment content load from their server. So this might take a toll on your site’s loading speed. If you are thinking about using Disqus, Livefyre or something similar, you have to first see if that is suitable for your audience. Some readers won’t prefer to have to create an account in a third party site (like Disqus) to be able to leave a comment on your site. I personally want to keep things simple. So I opted for the default WordPress commenting system with a couple of additional plugins to help me. Another major problem is broken links. People leave comments and they have a link back to their site. When their site is broken, it will show as a (external) broken link on your site. This can be bad! Just make sure you run a SEO audit regularly and fix the broken links. Or we can do it for you using Semrush. This discussion should help you whether you should use a third party commenting system or just stick with the default WordPress commenting system. You tell me. Should you have comments enabled on your blog? I’ve expressed my own views in this blog post. What do you think? Will you have comments enabled on your blog? Or do you think moderating spam comments is a waste of time and hence you would rather shut them? I’d love to hear what you’ve got to say on this! PS: If you want to disable comments on your WordPress blog for any reason, this tutorial should help you do that! I will say that if you are running a blog, then a commenting system must be there. One can learn a lot from the comments and even discussion on the comments can results in more traffic. Yes indeed! A blogger can learn a lot from the comments – about what readers think of the content, feedback about your products/services and so on. I get a log of blog post ideas when I skim through the comment section of blog – this way I not only get content for the blog, but I am also able to see what my readers want and hence deliver the same! But sad to note that these days some shut that option in their pages. But sad again, realizing their folly they again open that option fo the public. There are a lot of merits in keeping open this option than demerits. I am sharing that link here. That’s right. So far in most cases when bloggers shut down comments, they open it up back. Personally I think comments are very crucial for the growth of a blog and it is part of “content”. Thanks for the link – will check it out! Thanks for the compliment Zada 🙂 Indeed, blogging and comments go hand in hand. I think no matter what, commenting system should stay anyway. I see that Neil Patel has removed hyperlinking from the commenting but not removed commenting overall. Everyone has their own perspective but even I would like to keep commenting on for my blog. Hey Pankaj that’s right everyone’s perspective is different. But I am sure a large number of bloggers do believe that comments matter! Thanks for stopping by. I totally agree with you on this. I never understood why bloggers disabled their comments. I see it as a great way to brand yourself as well as get testimonials for products or services that you promote. I never thought that spam was a valid reason for disabling them unless there’s something that I’m missing. There are plugins that’ll help you take control of the spam and backlinks. That’s right. I too have never understood and yes, spam is not a valid (or a strong enough) reason to shut down comments. For me, comments are very valuable – helps me understand my readers’ thoughts and opinion! Blog commenting plays a vital role in SEO, In fact, approving the comments is the biggest achievement. And I am doing blog commenting every day, But I am not getting a satisfied backlink from blog commenting. Any suggestion for those? but so far I haven’t seen this for myself. Thanks for sharing your opinions on this subject!